Russ and his team were very helpful and efficient in clearing my late father-in-law’s house. Russ found us a slot at two days’ notice and brought a second van and extra people to get the job done in less than half a day. I liked the approach of recycling or passing to charity anything that could be reused rather than just sending everything to landfill. I would recommend them to anyone needing a house cleared. I can only agree with the other reviews. I live abroad and needed fast, efficient help after my father passed away. Russ was polite, efficient, professional and kind. Everything he promised he carried out. Russ and his team did a great job. He is a professional person with a good heart. I was kept informed of everything going on. Excellent, quick and reliable service. On time for the job and a very reasonable price from Russ and his friendly team. Highly recommend. Russ assisted my father in law in clearing his house due to it being sold. It was a very challenging job due to my father in law being very unorganised and not allowing us to assist with sorting out and boxing up. Russ was friendly, approachable knowledgeable and professional and provided a tailor made service. He kept in regular contact with us and his fees were reasonable. Wouldn’t hesitate to recommend him to anyone. Thank you so much for fitting me on such short notice, you really helped me. Great professional service and I really appreciated your flexible approach to my requests. I would definitely use them again. A really impressive service- excellent attention to detail, speedy and efficient. Would absolutely recommend! Thank you Russell and your team for the caring and considerate way you helped us clear Martyn’s flat after the tragedy at Manchester Arena. It’s the amazing support of people like you that have helped to keep us as a family so positive. Russ was very friendly and helpful when he came out to quote for the house clearance. The clearance itself was done quickly and efficiently by him and his team. I can’t thank them enough for making this a painless experience. Russell and his team were brilliant. They came round after they had a last minute cancellation and dealt with the clearance there and then, with no fuss whatsoever. Would award six stars if possible !!! Russ and his team were absolutely brilliant – they were so helpful, to great pains to move everything quickly and safely, were excellent value and they certainly went the extra mile. I cannot recommend them highly enough! Truly outstanding service; polite, efficient, tidy and excellent value for money. Have no hesitation in recommending. Brilliant service and a good price. Very fast, friendly and efficient. Would highly recommend. Excellent service, would definitely use these guys again! Awesome service and a good price. Came and cleared everything, no hassle at all, even tidied up after themselves! Highly recommend. Thank you “Every Seconds Counts” you were very prompt and efficient.I would recommend your professional service . hesitation in recommending this company. Fantastic service! Friendly, professional and courteous – they did a great job at a difficult time. Thoroughly recommend. Russ and Lewis were great. Friendly, professional and the house was cleared even sooner than promised. Highly recommended, they did a great job. Quick, efficient & easy to do buisness with. Good price & very accomodating. Highly Recomended. you informed of progress and confirm understanding at every stage. Very Pleased with the prompt response. The house clearance was carried out professionally and with the utmost courtesy. Very happy to recommend. Thanks, Russel – a brilliant job. Using 4 people to clear my parent’s house was the right thing to do. We were very pleased with all aspects of the work. Russell – polite, reliable, punctual, a man of his word, and his troupe of helpers – respectful, courteous and efficient, did a great job. 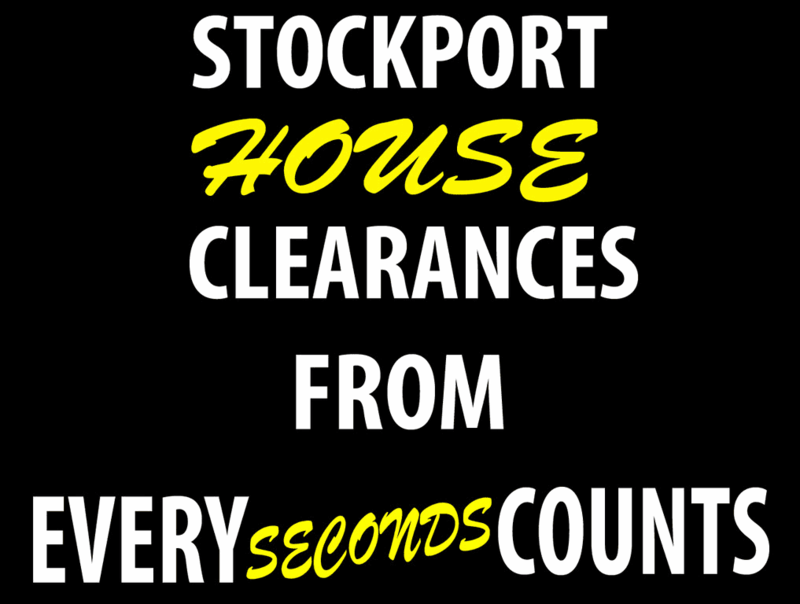 Needed house clearing at short notice and received fantastic service at a reasonable price. Thank you to Russell and Sam for your care and efficiency on the day. I’m pleased with the Table and chairs.that I bought from you picked up by Shiply. It’s a good price and in good condition. It cost me nearly as much to have it del., but it was worth it. A good buy. At a time when I could not face emptying and cleaning a house, Russ and Lisa stepped in and did it all for me for a really reasonable price. A professional, friendly and efficient service that I would recommend to anyone. Very helpful company. Quick and flexible to our house clearing needs and reasonable price. Great customer service. Brilliant service, delivered next day after enquiring. Would definitely use them again! definitely be using Every Second Counts for more vintage furniture shopping.